Dr. Gu has a profound knowledge of Chinese herbal medicine, with 22 years of professional experience and hundreds of patients each year. 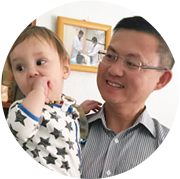 He combines acupuncture with Chinese herbal medicine and manage an array of symptoms of conditions that may not respond to acupuncture alone. Our methods are based on evidence based research and Dr. Gu is an acupuncture lecturer and researcher. At our fertility acupuncture clinic in Melbourne, we are constantly working to improve and enhance our clinical reasoning and skills. This dedication to staying up to date, allows us maintain an approach that is in line with current research and help patients reach their goals. What does Traditional Chinese Medicine treatment include? Traditional Chinese medicine (TCM) includes acupuncture, Chinese herbs, diet, exercise, and lifestyle approach. Dr. Gu places great emphasis on physical and mental balance and individualised care. Chinese medicine is a system of medicine developed in China that has a different history and approach than Western medicine. Rather than treating disease, Chinese medicine practitioner treats patterns of disharmony (or symptom clusters) in a patient. Sperm count and quality has been declining over the last 50 years, impacting the chances of getting pregnant and carrying to full term. This means that it is important to focus on the man as much as the woman. DR. Gu places great emphasis on male’s health too. Natural fertility stems from healthy sperm, healthy eggs, and a healthy uterus in which to implant and develop. 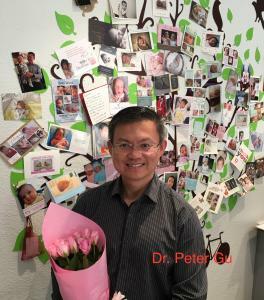 Dr. Gu understands the relationship between stressful or negative emotions and pregnancy. He believes that these play a major role in hormonal imbalances and problems associated with female reproduction.